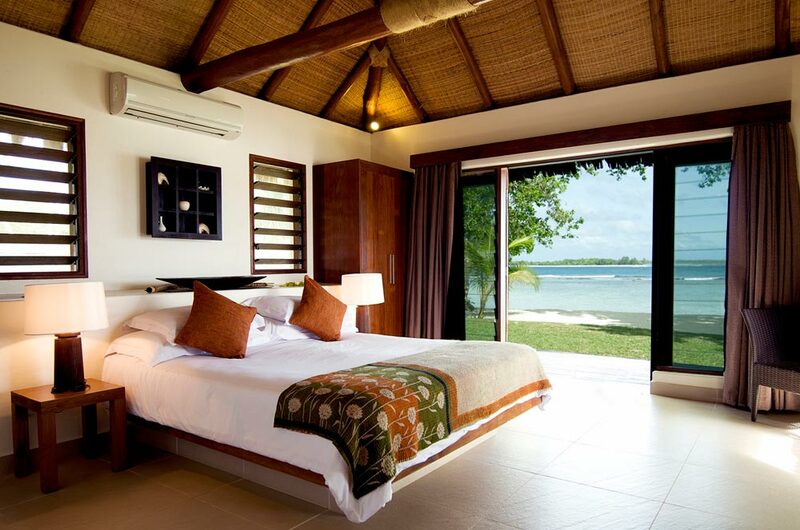 Located on its own Peninsula, Eratap is one of Vanuatu’s most beautiful boutique resorts. One of the few luxury boutique resorts that accommodate children 7 years + during school holiday periods, we recommend you book early as this stunning little resort is enormously popular. 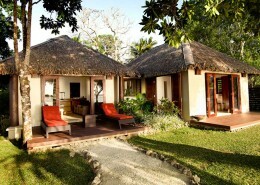 Eratap has to be one of Vanuatu’s most beautiful resorts and definitely ticks all the island traveller boxes. 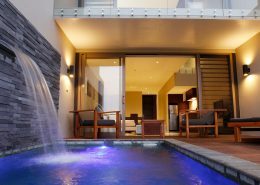 The biggest drawcard is this resort is one of only a few boutique resorts that will allow kiddies (5+) – but only in school holiday season. 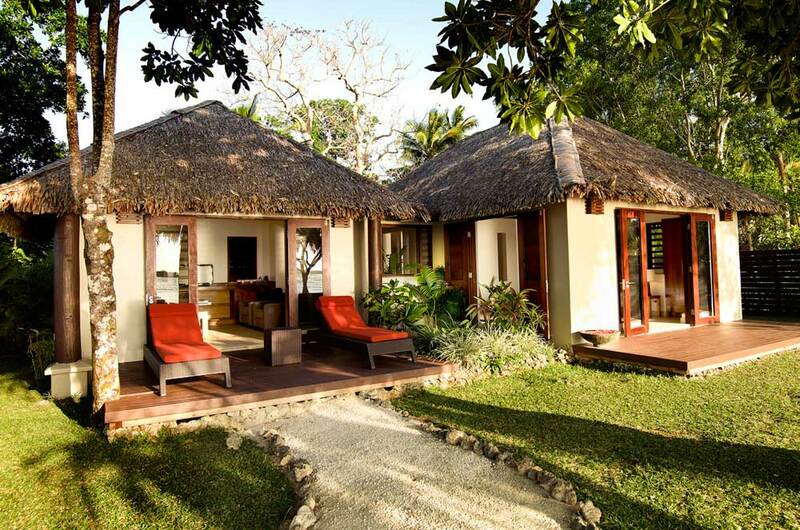 It makes Eratap very sought after by families who want to experience Vanuatu without staying at larger family resorts that don’t tend to cater for the luxury market. Being only small, it’s great for romantic couples. 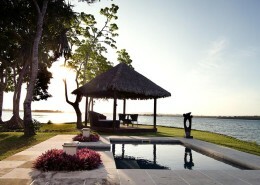 The villas with private plunge pools are always a hit with honeymooners as is the honeymoon bonus. A beautiful resort property I never get sick of visiting! 5 night Vanuatu holiday package deal @ Eratap Beach Resort. 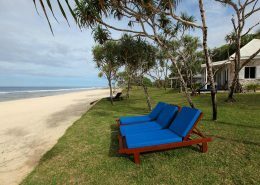 Situated on 8 acres and with 3 private beaches, it offers its guests luxurious accommodation in a natural environment that exudes peace and tranquillity. 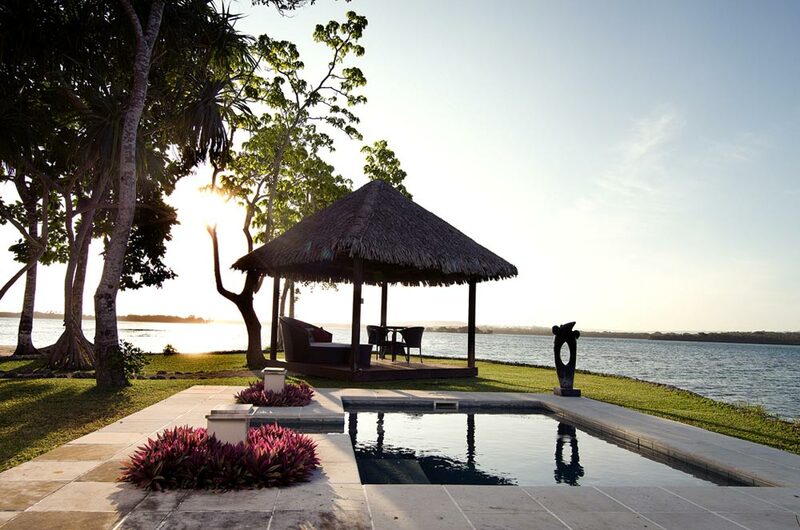 Each of the spacious Melanesian influenced 1, 2 and 3 Bedroom Villas are located beachfront and feature stylish contemporary décor, with a limited number having their own plunge pools for the ultimate in indulgence and privacy. Surrounded by coastal forests, reefs, waves, lagoons, islands and mangroves, Eratap offers guests many activities including snorkelling, kayaking, surfing and fishing. As one of the few luxury boutique resorts that accommodate children 7 years + during school holiday periods, we recommend you book early as this stunning little resort is enormously popular. Valid for travel 30 April 2019 to 31 March 2020 (block-out dates & high season surcharges apply). Sale to 30 April 2019. We had an absolutely wonderful week. The snorkeling on the reef immediately off the beach was fantastic – amazing variety of coral and tropical fish. The kayaks and pool were also nice diversions. But the main thing is that the staff and locatiuon made it wonderfully relaxing. The cultural shows on a couple of the nights were interesting and entertaining. The accommodation was very comfortable and the restaurant food very good. *Terms & conditions apply: Valid for travel 30 April – 21 June, 23 July – 19 September, 14 October – 06 December 2019 & 28 January – 31 March 2020. High season surcharges apply. Sale to 30 April 2019. Surcharges apply for children traveling during family times. Prices shown are a guide only, based on low season availability & subject to change. Price per adult, twin share based on Air Vanuatu sale fare, valid for new bookings only. Other conditions may apply.